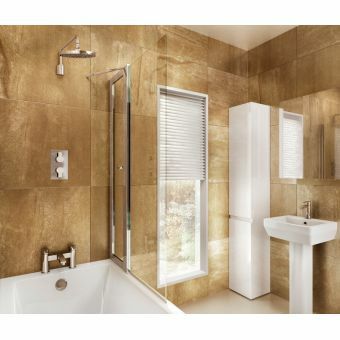 The Eleganza range from Matki has consistently been a best seller and this versatile addition to the range is no exception. 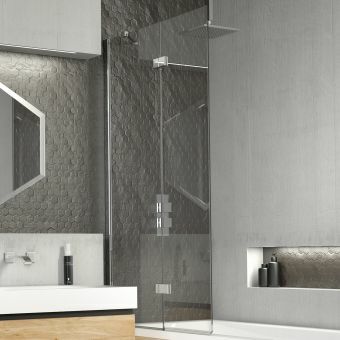 Clad in shimmering high lustre polished aluminium, the wall profile sits discreetly against the wall while providing ample adjustment for out of true walls. 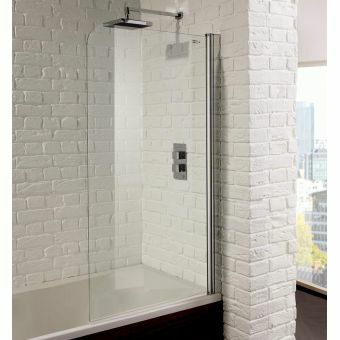 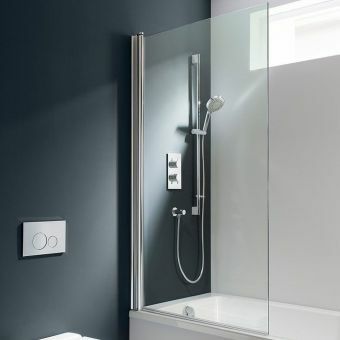 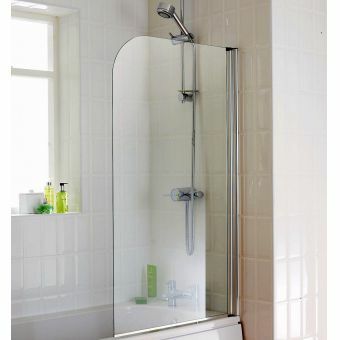 The 6mm safety glass is coated with their own Matki Glass Guard protection which sheds water easily from the glass surface and makes cleaning far easier and less frequent. 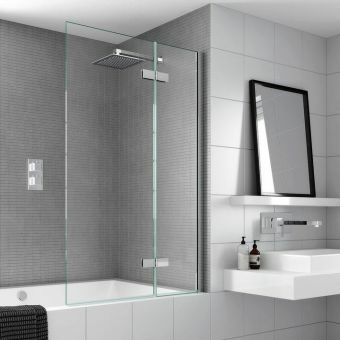 The compact folding design is reversible and will fold in both direction with a simple push, the glass being connected sturdily by the flawless finished chrome hinges. 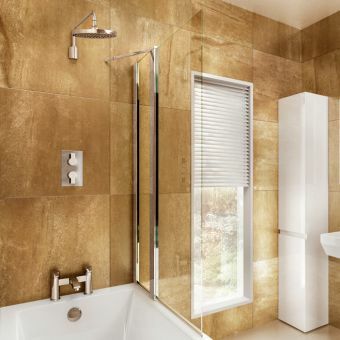 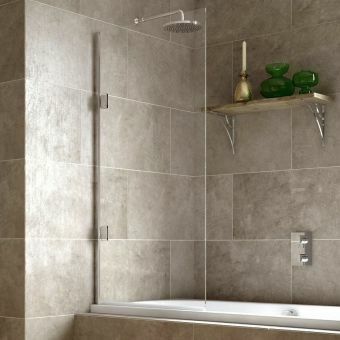 A water seal prevents leaks on to the floor and at a width of over 1 metre this is one of the largest available, perfect for a family sized bathroom.